While it’s true that homework has been keeping me occupied, it doesn’t mean I can’t make time for my true passions. 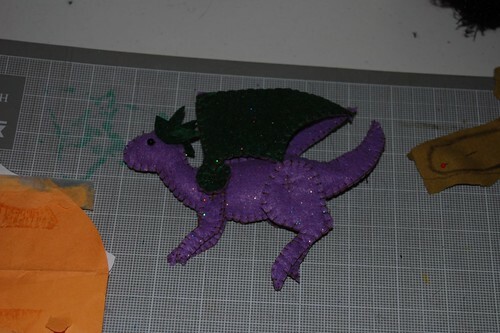 A new dragon ornament - sparkly purple and dark green. 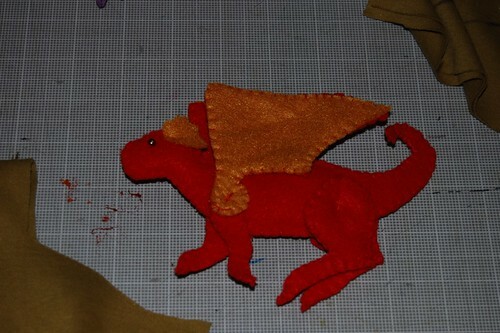 Yet another dragon ornament - red and marigold. 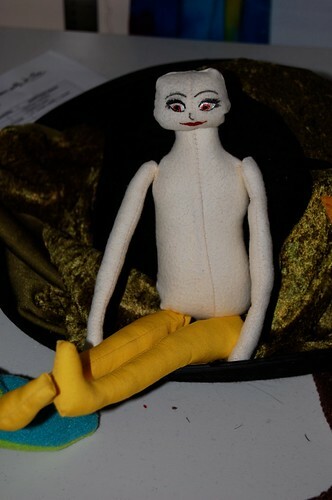 A new doll in progress. 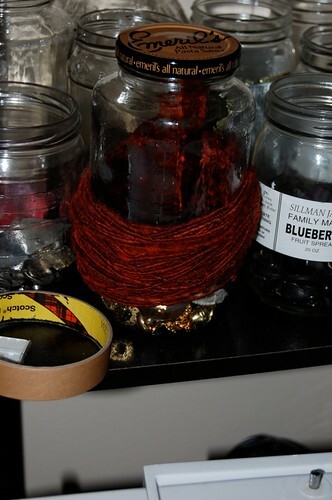 Dark red yarn hand spun by yours truly! 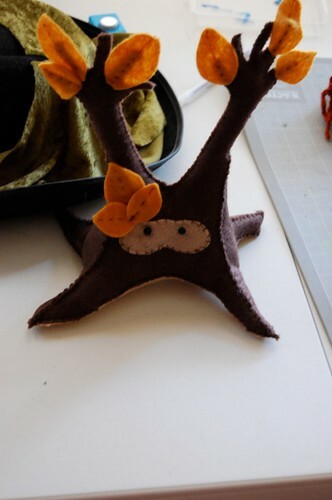 And, of course, a new tree spirit! I’m feeling better and better about the upcoming craft show. Oh my gosh…you’re little dragons get better and better:) And I love that little tree spirit! Love the personality on this tree spirit!